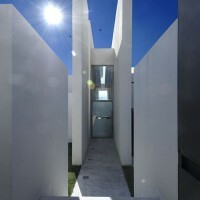 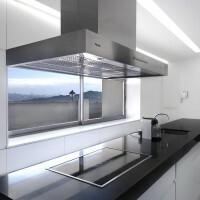 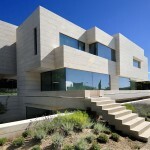 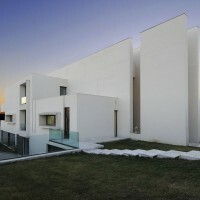 A-cero Architects have designed the Camarines House in Madrid, Spain. 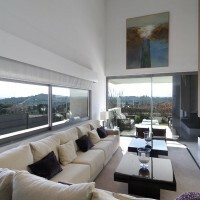 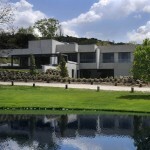 The house has a total Built-up Area of 631.71 m2, being located on an exclusive residential neighborhood of Aravaca, on the outskirts of Madrid. 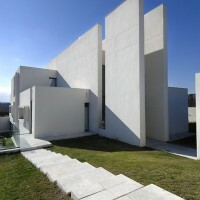 Two parallel plans with vertical lines cross the construction like a double architectonic skin which becomes the leitmotiv of the property. 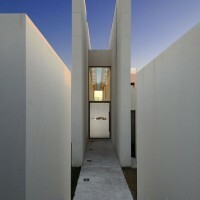 The rest of the building is developed around this central axis with many twin cubes creating a harmonic volume game. 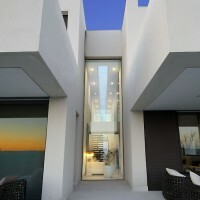 Next to this architectonic path appears the most public area with the kitchen and living-dining room. 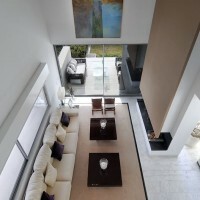 Meanwhile on the other side of the plan remain four complete suit bedrooms, one of them for the guest. 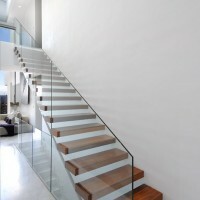 A sculptural staircase leads us to the first floor, where you can find the private spaces and the bedrooms of the owners. 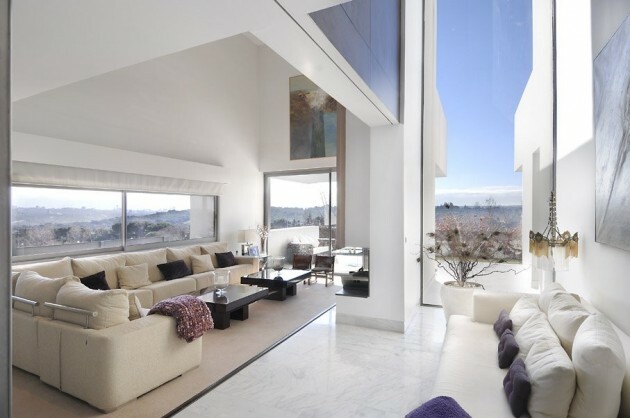 On one side a big bedroom and bathroom, on the other an office with library that connects with the living room through a double height. 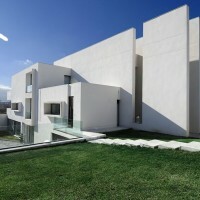 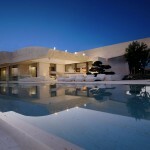 All the villa is covered by white mortar monolayer that remarks the pure essence and the architectonic unity lines. 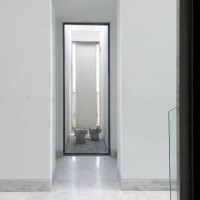 The ground floor is finished on white Macael marble, while the first floor is finished on wood. 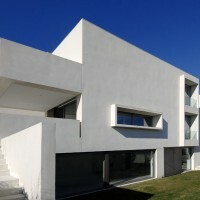 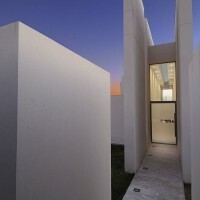 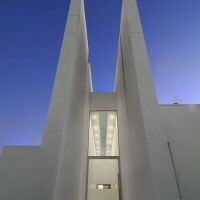 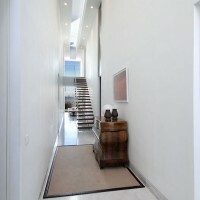 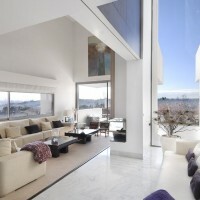 The white color covers all the house allowing reflexions of the light. 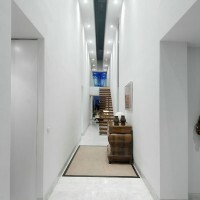 A warm decoration between the tradition and modern make the perfect fusion between the container and content.